Peace and tranquility like nowhere else await you in Upcountry Maui. Sprawling ranches dotted with horses, cattle, sheep, and paniolos lead to hideaway havens in Kula, Olinda, Keokea, and Ulupalakua. The charming cowboy town of Makawao has a unique elegance of a time from days gone past, where you can stroll and window shop, or stop in for a bite at some of the scrumptious restaurants, or some great Maui style Mexican delights in Polli’s. Pukalani has your day to day needs, with tranquil neighborhoods offering a quiet, suburban calm around a centerpiece golf course. 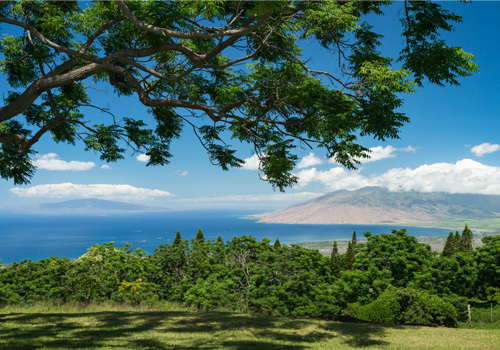 Lots to consider here, how and where you live up here will offer countless possibilities for an enjoyable Maui lifestyle.